This. This. This explains my experience so much. Thank you for putting it into words for me, and many others. The feelings, the thoughts that I’m defective, I’m bad. I didn’t know I was adopted until I found out when I was 20 years old, but somehow who I am deep inside knew that I was unwanted. I am now 49 years old and these feelings and beliefs have tormented and hurt me every day. I am on a journey now of seeking healing from this trauma from God. He is the One who knows every detail of who I am and what happened to me. I have never been comforted, but I am hoping that somehow He can. I really don’t know if even He can bring healing to this deep wound, but there is no where and no one else. You are also Courageous. Thanks for sharing your story. You are truly an inspiration. Empower4her – Thank you! It never is easy, but so needed! ❤ Your support means a lot! 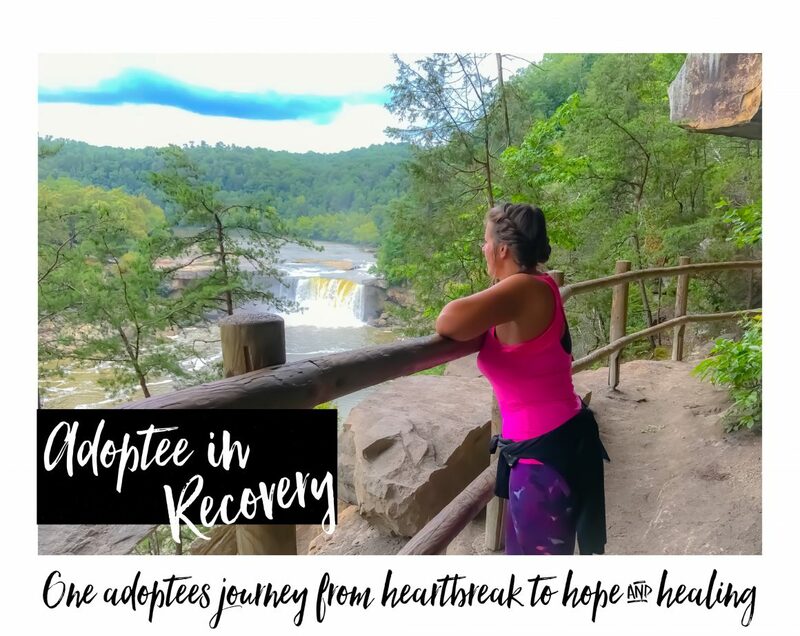 Want to know what it feels like to live every day of your life knowing that you were rejected from the moment of your conception, and then your adoption? This is how one woman feels. And I see this in many other adoptees as well. For these adoptees, each day is a reminder that your pregnant mom didn’t want you. And that sets the stage for a lifetime of self doubt. Hi Lennox – Thank you so much! So sorry for your loss, and pain. Please know you aren’t alone. I’ve found the pain of relinquishment is something that is hard to describe. It runs so deep, and now I refer to it as a “mother wound”. And then adding the Adoptive Mom “issues” to it, it’s just a very sad topic for me. But I know I’m not alone. HUGS!!!!!!!!!!!! I’m here if you ever need to talk! Thank you for being so brave in sharing your heart and the rawness of your pain. I can always identify. I am so grateful to have found your blog. I am a 67 year old adoptee and can relate to your feelings. After years of searching, I found out that my biological mother was 20 when she tossed me aside and I was adopted by a narcissistic woman. Although I never met my biological mother, I did find a biological half brother about a year ago. The honeymoon stage is now over for me because I am overwhelmed with emotion and just need some space to deal with the reality. I have written a letter to him and his wife trying to explain my need for space right now. I do,t want to hurt anyone. I haven’t mailed it yet because I am in need of hearing from other adopters on this reunion issue. So, if anyone out there can relate, please reply. I can relate to your post. I reunited with my birth family in 1990 and i’m still struggling to keep in touch with them. The letter you have written sounds therapeutic. Each of us adoptee respond differently to our adoption and without reading the contents of your letter is difficult for me to offer comments. In my situation I’m inviting my birth siblings to walk our painful journey together. Over time I come to know that my pain is my friend and not enemies. Hi Joy, so glad you found my blog as well. I can so relate to much of your pain. The pain that comes with reunion is something I have a hard time putting into words. I can so relate to what you are saying about needing space. If you would like me to read your letter as an accountability partner I would be happy to do that. I understand why you need space, but honestly one thing I’ve learned is that no matter how “wonderfully” we try to explain it non-adoptees will never understand it… It’s so hard for us. I went through this a few times through reunion. Have you mailed the letter yet? Feel free to email me pamelakaranova@gmail.com HUGS! You aren’t alone! Thanks for your reply!! Yes, I mailed the letter. Unfortunately, my “brother” is not accepting my plea to let me have a “time out” without trying to guilt me. Just what an adoptee needs, right? Anyway, you know how sometimes you have to be careful what you wish for? Well, that’s how I feel. Wish I had never met him. I have had enough guilt placed upon me from a crazy narcissist of an adopted mother in my life, and don’t need this crap. You are so right about people not understanding us. There is NO WAY they can. I could only brief through your article because of the painful memories my brain not ready to endure. Like your article I could only brief read Nancy’s books. I could only stared past pages of Nancy first book and stuck on chapter two of the second. One word, however, did catch my attention in your article and Nancy’s second book is the word “survivor”. Nancy added a brief note about the third developmental progress beyond survival status: “Participant” is the word she used to describe living in the present and not lthe past stored in the living memories of our brain. Us adoptees live in the present as through the past still exist. The word “participate” evolves us back to the future. Doc Brown in the 4 films “Back to the future” warned Marty McFly of the danger of altering the past to change a future that was not meant to be. This is true for many of us adoptees: we unwittingly fantasising what could have been be by imagining past events that could never be changed. In one film the future crumpled when the past was altered. McFly learned in the end that leaving the past unaltered he could live in the present and preparing for the future ahead. If you have as groups members have time read Nancy’s books and gives us and her a review. My brain so far is resisting: Is like just staring at the words of the book and flipping through pages. I’m guessing that is too painful to live the truth that the adoption is not my fault. Hi Graham, Thank you so much for your reply. I can understand things being too painful to read sometimes. I have read both of Nancy’s books and recommend them to everyone I know. They are hard reads, and I had to read them in small doses. I read Primal Wound and I had such an “ah HA” moment when the author spoke of the disconnect for a baby who is born already knowing its mother, and is then handed over to a stranger. Rejection from day one. It helped me at least understand why I have never felt a part of anything. I met my biological half brother a year ago, and have moved from the “honeymoon stage” to the “time out stage”. I’m rambling now, but I am so grateful for this blog!! Pamela, I can relate to a lot of what you wrote, and you wrote it so well! You seemed to have faced a lot more challenges than me. Still, I share a lot of the feelings you wrote about. Thank you. I acted out a lot too as a young person. I felt sort of ‘bad’ as a child, and much more so in adolescence and afterward. I didn’t really want to be bad. A part of me just was, and I eventually started acting that way as if following a subconscious narrative. There were points in my early life when I actually started to think I was controlled by some dark force from the past. Well, as most people here seem to know, it turned out that dark force was trauma from my adoption, and my infantile subconscious relentlessly trying and mostly failing to process that. I also noticed that my friends who were adopted and my friends who came from broken & abusive homes all started dabbling with negative behaviors side too. In short, we did so because of classic deficits in feeling love, safety, confidence, trust and so forth. And this originally made no sense to me, or to adults, because they observed me as a young person with very loving supportive parents (who happened to adopt me — and in my way of thinking, they rescued me). Must have been experiments with alcohol and drugs! Must have been peer pressure! Must have been pop culture! No, now we know better. Thanks to my family doctor and then a brief (2 session) stint with a counselor, they gave me some grown up hints that ‘unresolved frustrations and conflicts’ from my adoption *may* be playing a role. These turned out to be massive understatements, but thank God they introduced me to some insightful reality. I could go into all sorts of psychology and attachment model stuff. I could go into examples about my young life, and how I externalized my feelings of badness, which Pamela described so incredibly. Instead, I want to talk about the internal stuff right in the basement of the subconscious. Do any of you remember very powerful dreams from childhood or adolescence that are just dripping with adoption-related themes? I have had countless dreams of being abandoned, of being lost and seeking desperately to reunite my ‘family’ (who were never my real adopted family in the dreams). I have had many dreams of wandering alone, always searching, always anxious and full of grief. Because I felt bad and angry and ‘outside’, I also had many dreams that I had done criminal things too. Betrayal, murders, etc. Not fun dreams. It made sense that my subconscious invented these false fantasies because they created logical “reasons” – stories – for me feeling the original badness in the first place. I felt bad, although no serious objective reasons existed to justify these feelings. So the subconscious or imagination fleshed out the stories. One of the most powerful dreams – nightmares – I ever had was of me being judged ‘bad’, and then rejected and annihilated. Burned alive. It was a mythological dream. I was like a Greek demi-god kneeling on this giant apparatus made out of brass. It turned out to be a huge set of scales. Below me were fires raging up from a chasm. Above me, and just beyond the camera view, was a powerful presence. This was a god, a Super Parent, looking down on me. Everything was in the third person, so I was looking at a fantasy adult version of myself and couldn’t see the god. I remember sweating. I remember my eyes bugged out in terror. I remember clutching the hot brass chains of the scales. I was pleading for my life. I knew I was about to die. “Please, let me live. I swear I’m not as bad as they say. Please, if you love me, spare me! Please, I need your love. I don’t deserve to be destroyed.” It was something like that. It was more emotional, more pure, than these words. The super powerful force lifted the scales. It swung me closer to the fire. It told me emotionally that I was deemed unworthy. I was a mistake. I was bad. I had to go away. I didn’t fit in. I had to be cast out. No, not just cast out. I had to be destroyed. The last memory of the dream was me screaming as the scales plunged into the fire. I was burned alive. Annihilated. Fade to black. I eventually woke in a heart-pounding fit of anxiety. This is the fear of the unloved. The fear of being judged bad, but deprived of a rational reason why. The parental force, for reasons not fully understood, destroys its child. Why? Because the child is bad. And why is that? The infantile mind just don’t know. But it must have done something to deserve it. Right>? It’s a horrible state of affairs that most ‘securely attached’ people don’t know about. The ‘insecurely attached’ people meanwhile may be plagued with these thoughts (the details of course correspond with their personal crises). Not only is the subconscious replaying these feelings over and over, it’s also trying to use whatever it can to explain them. The good thing is, I’ve spent a life time studying what the hell is going on in my head, and I’ve done pretty good in ‘dealing with it.’ While I am still not fully my real self, and I’m still too ‘alone’ and semi-quarantined, I’m also no longer my false self either. I won’t be a victim of the feelings and narratives anymore. I’m not bad. I’m no longer angry or sad or nervous or depressed. I’m a good person. A part of me is convinced I am bad, but in the end… it’s only a part. It’s really just a frightened, confused thing. I don’t fight it. I console it. I’m friends with it. I tell it that it’s going to be okay. I understand it and in return it’s not making as much racket. Thanks for this! I also have a narcissistic adoptive mother, who had depression but never admitted it. His truth in the midst of these lies. Yes I can relate to your story Pamela, very much so!